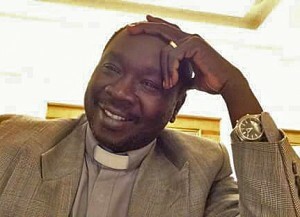 Sudanese Church of Christ leader could join colleague in trial. 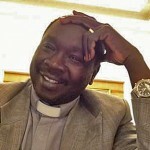 JUBA, South Sudan (Morning Star News) – Sudanese authorities on Wednesday (May 25) re-arrested Sudanese church leader Kwa Shamaal, who along with a denominational colleague could face charges calling for the death penalty, attorneys said. Pastor Shamaal, head of missions for the Sudanese Church of Christ (SCOC), was re-arrested in Khartoum after a National Intelligence and Security Services (NISS) prosecutor interrogated him at security offices, they said. Pastor Shamaal and the Rev. Hassan Abdelrahim Tawor, SCOC vice-moderator, had been arrested from their respective homes on Dec. 18, 2015, with Pastor Shamaal released on Dec. 21 but required to report daily to NISS office, where he was held from 8 a.m. until midnight. That requirement was removed on Jan. 16. On May 10 his colleague, Abdelrahim Tawor, was transferred from prison to a holding cell of a court for those facing crimes against the state, indicating to attorneys that his trial could come soon under fabricated charges of spying and other serious offenses calling for the death penalty. An attorney said Pastor Shamaal could face the same charges. “The prosecutor who interrogated him told him that he was included with other church leaders who are accused of spying and other capital offenses,” he said. Lawyers defending Abdelrahim Tawor said NISS, which has broad powers to arrest Christians, non-Arabs and other minorities without cause, typically concocts charges against church leaders of undermining the constitutional system, forming foreign organizations and spying. One church leader said the conference dealt only with how to carry out missions.